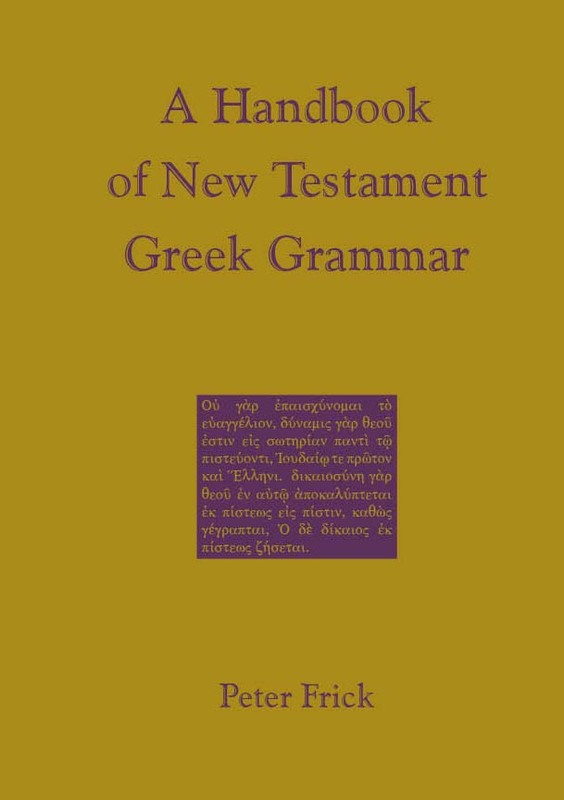 This is a unique textbook of New Testament Greek. Here the student will learn the grammatical and syntactical fundamentals with a solid base of vocabulary, in an arrangement geared for the best results. The first half of the book presents grammar and forms, as well as Greek to English and English to Greek sentences. The second half is comprised of many biblical and extra biblical texts with running vocabulary. Professors and students of New Testament Greek, or anyone interested in the subject, will welcome and find this book extremely useful with its up-to-date scholarship.